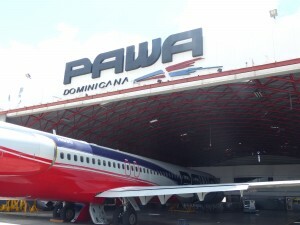 SANTO DOMINGO - Executives of PAWA Dominicana admitted that the airline has a difficult financial situation and that they have an outstanding debt of US $ 3 million. Of this amount, one million 500 thousand dollars is owed to the Dominican Institute of Civil Aviation (IDAC) and the other one million 500 thousand dollars to Aeropuertos Dominicanos Siglo XXI (Aerodom), for which the airline was suspended by the Civil Aviation Board ( JAC). In that sense, the JAC issued a statement clarifying that it assumed the assistance and relocation of the passengers affected by the suspension of the airline PAWA Dominicana. The JAC informed that along with the IDAC, it managed the lease of aircraft to transport 56 passengers to Aruba and Curaçao, while 119 passengers were stranded in those same destinations, and 80 passengers will go to Havana, Cuba. On return flights, a similar number of passengers will be transported on the way to Santo Domingo, thus mobilizing more than 500 passengers. At the same time, both in its Customer Service Office located at the International Airport of the Americas (AILA), and at the headquarters of the JAC, more than 1,300 passenger claims have been made in the last three days with the intention of assisting them in their processes to guarantee the total return of the amounts paid. The president of the entity, Luis Ernesto Camilo clarified that the measure of leasing aircraft to transport passengers was taken to facilitate the situation during the weekend holiday, prioritizing routes with less connectivity. Elena Rodriguez, communications executive at PAWA Dominicana, said they are looking for solutions to the problem, adding that the money is being returned to passengers who bought tickets. Rodríguez explained that a call center was opened to guide all passengers and that they have already started to return the money owed to them for the purchase of tickets to different destinations. She complained that the authorities did not notify them of the suspension.